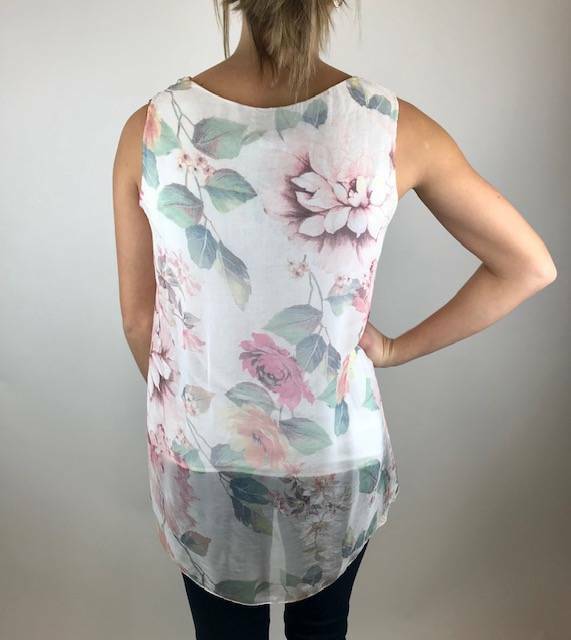 A pretty floral tank with a silky feel and light floral overlay. 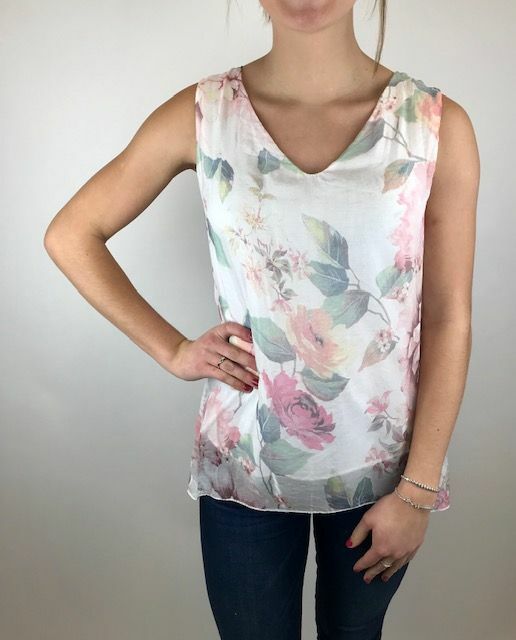 The floral is light shades of pink, peach and green on a white/cream background. Has a lower back hem for coverage.